Ta-DA! Apple stores are getting a facelift for their 10th anniversary, complete with iPad-driven shopping experiences, huge digital displays, and an upgraded sound system (assuming the rumors are true, that is). Apple may be giving its Apple Stores a very high-tech makeover to celebrate its tenth anniversary. 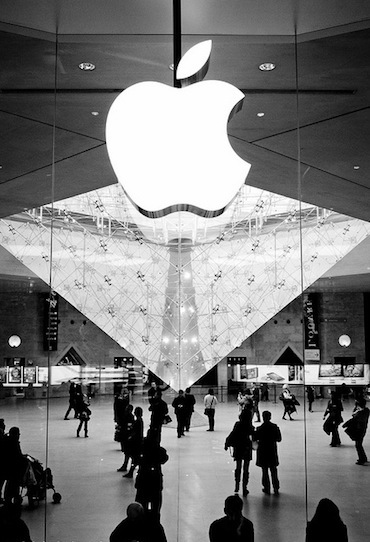 We’d heard about the various mysterious plans unfurling in Apple stores in the U.S., but now it looks like the “Apple Store 2.0,” as it’s being referred to, is a worldwide affair. The numerous preparatory plans, including locked boxes of supplies, gigabytes of code downloaded and protected with a password, bans on store staff leaving, and a very early start this Sunday morning now all make sense. The adjustment seems not to be for an unexpected new product (which was always a long shot) nor to do with NFC technology–as hinted at by display tables with “new” wiring–but it’s all about the stores themselves. To put it simply, Apple’s Stores are getting iPadified. 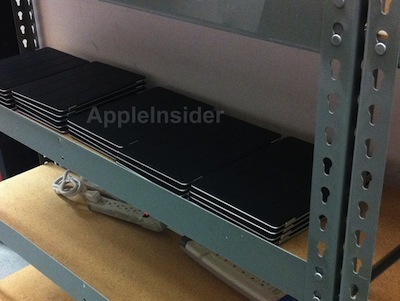 Multiple special iPads seem to have been delivered to each store. Some are destined to be used as interactive display units, leveraging Apple’s “it just works” simplicity to…well, to sell Apple’s own gear to interested buyers. This explains the new display tables, which will definitely need some complex wiring looms to support all that power, data and security cabling–all of which will probably be concealed if Apple’s to keep true to its modern, minimalist display style. Other iPads will replace the iPod Touch-based EasyPay systems Apple’s been using for a while–essentially acting as its own mobile credit-card readers, well ahead of mainstream solutions like Square. The larger-screen real estate will help display products and options when employees interact with buyers, and perhaps will be easier to sign your name on when asked to verify your card transaction. And, of course, this very system may demonstrate to some buyers how potent a device the iPad itself is. This part of the makeover is driven by new RetailMe software (that mysterious download rumored earlier) which contains training and the special apps themselves. The stores are also said to be getting big digital displays which may be “huge” in some cases (The Simpsons was so ahead of its time…), and better sound systems. All of this will be supported with a new store app on iOS devices that may show you where the item you’re interested in seeing is located in a specific store. If you’re worried that all this digital glitter, 21st century as it is, will mess with the plain white walls, spare desks, and understated design features typical of the current, incredibly successful, Apple Store, then worry not. The overhaul has been driven by the folks right at the top, including Steve Jobs and chief designer Jony Ive. Surely, if these rumors prove true, they won’t bungle it.